Boise, Idaho — Today, Western Watersheds Project (WWP) gave the Bureau of Land Management (BLM) a 60-day Notice of Intent to sue for the agency’s failure to protect a federally protected species from livestock grazing impacts on eight allotments in the Little Lost River watershed of Idaho. The Little Lost River core area of the Columbia River bull trout is extremely imperiled and the population levels have been greatly depressed due to degraded habitat, excessive sedimentation, high water temperatures, and the dewatering of streams. For many years, WWP has documented how grazing in this fragile, arid valley causes serious ecological damage. Despite this, the BLM has failed manage grazing and reduce these threats. 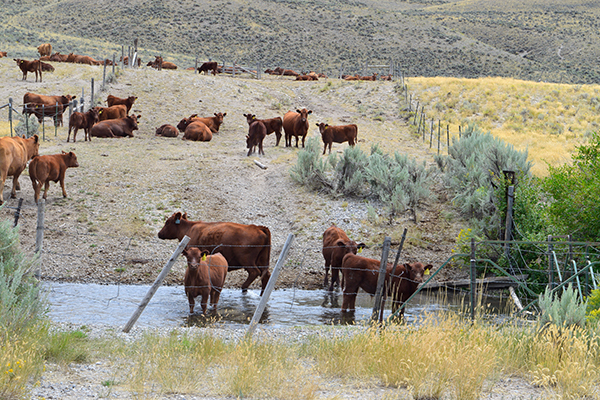 In 1999, the BLM promised to exclude livestock, monitor impacts, and rehabilitate problem areas in the Little Lost watershed in order to ensure that livestock grazing would not harm the species within the Little Lost River and its tributaries. Despite these commitments, evidence obtained by WWP shows that livestock degradation continues in these areas, necessitating a fresh look at how ongoing grazing operations are impacting the fish. “The Little Lost River subpopulation of bull trout is unique and irreplaceable,” said Ruether. “The significance of the BLM’s responsibility to protect this species in accordance with the Endangered Species Act has sadly been overlooked for the last decade and a half. We want BLM to change that for the sake of the bull trout and future generations.